Photo by J. Bauer-Leffler and J. Bauer-Leffler | The State Press Tempe Police Lieutenant Mike Pooley speaks about the new body cameras coming to the department next month on Monday, Oct. 5, 2015, in Tempe. Tempe Police Lt. Michael Pooley said Tempe PD has always seen body cams as a positive aspect to the force. "They’re useful for so many different things, for prosecution, for citizen complaints and for use of force," he said. The shooting of Michael Brown in August 2014 caused a national uproar over police transparency. People all over the U.S. attempted to piece together the events leading up to the death of Brown with barely any evidence aside from each party’s account of what happened. Some claim that if the officer who shot and killed Brown was wearing a body camera, the case could have easily been solved. In December 2014, months after Brown's death, President Barack Obama proposed a new funding plan with $263 million going towards police training and body cameras for all officers. Obama said these funds will be able to settle the “simmering distrust” between police and their communities. Nearly a year after Obama’s proposal, Tempe is jumping on board with new department training and on-officer cameras. Pooley said the new training in November will be all about learning how to use the cameras, when to use the cameras and how to utilize the camera footage. Pooley said this move will not only be good for monitoring police behavior but citizen behavior as well. He also said the camera footage will be housed on a site supervised by Taser International. Councilman Kolby Granville said the camera footage is public record. Tempe police will have access to the footage, but so will the public, per request. Granville said implementing cameras should verify that the interactions between residents and police are conducted in a way that is respectful and according to policy. The footage should show behavior that “balance the needs of the officers to be safe as well as the needs of the community to be safe in the way officers treat them,” Granville said. Andrew Clemency, a senior lecturer at ASU's School of Criminology and Criminal Justice, said he believes body cameras on Tempe police would increase police accountability. "Body cameras are another step in the direction towards policing becoming more transparent," Clemency said. "And I think most police officers would agree with that. They have been in a lot of trouble recently." Clemency, who worked as a public defender for 20 years, said that although it helps increase transparency between the community and police, body cameras could also prevent police from performing their best. "It's going to make police work more stressful," Clemency said. "You're working in a situation where every single move is scrutinized and under surveillance. It's going to potentially have a chilling effect on police who want to do pro-active work." 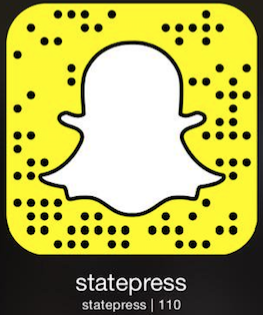 Reach the reporter at ambice@asu.edu or follow @alliebice on Twitter.